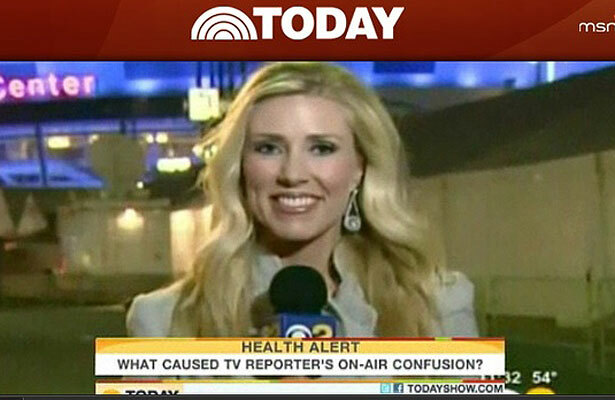 CBS Los Angeles TV reporter Serene Branson,who made headlines when she couldn’t seem to find the right words to complete a sentence during a live Grammy broadcast last Sunday, did not suffer a stroke, as many had speculated. Paramedics were called and Branson went home, but said she was feeling fine. It turns out the problem was the a symptom of a “complex migraine,” according to her physician, Neil Martin, chief of neurosurgery at the Ronald Reagan UCLA Medical Center. 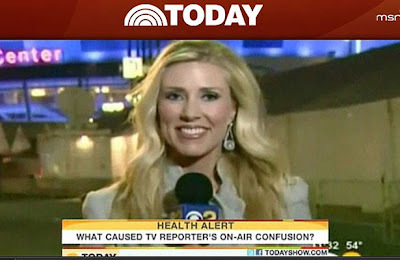 Dr. Martin received permission from Branson to discuss her condition publicly, with the Los Angeles Times. A complex migraine can mimic the symptoms of a stroke, says Martin, and is often mistaken for a stroke. The theory is that blood vessels in the brain suddenly narrow, or spasm, causing the stroke-like symptoms, and then dilate again. It’s usually a temporary problem, he says.